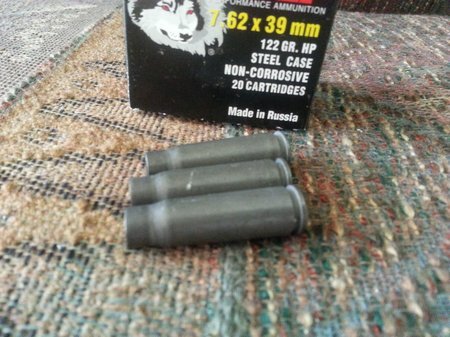 Is Wolf WPA 7.62×39 Ammo Dirty? I see this type of comment frequently on the gun forums. Fact or Fiction? 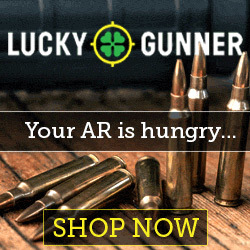 Let’s see if there is any proof by shooting some Wolf WPA 7.62×39 ammo. 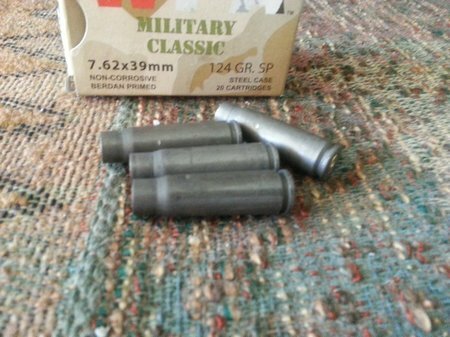 Here is the WPA Military Classic 7.62×39 Russian/Ukraine ammo in question. 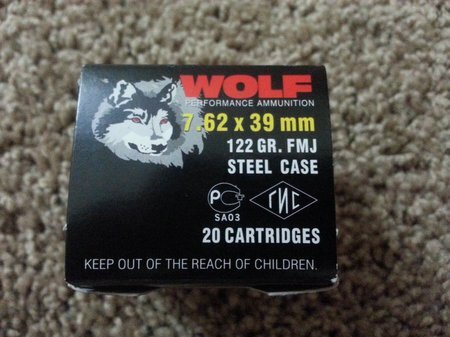 …and here is a box of Wolf Performance 7.62×39 Russian ammo. Well? Does it look dirty after firing? I think not. 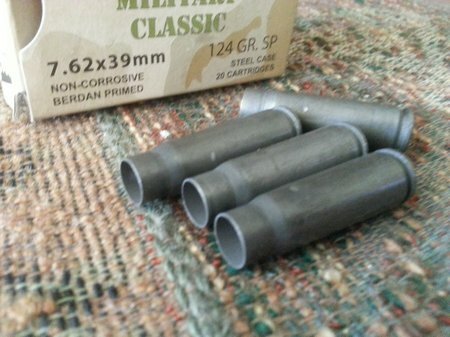 It’s actually cleaner than some American ammo. There is no carbon or powder residue on the case neck. It’s very clean. 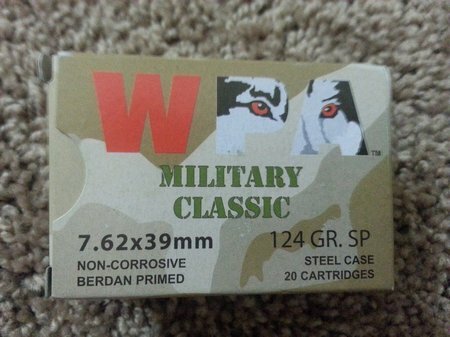 Here is the WPA Military Classic 7.62×39 ammo after firing. Looks pretty clean to me. 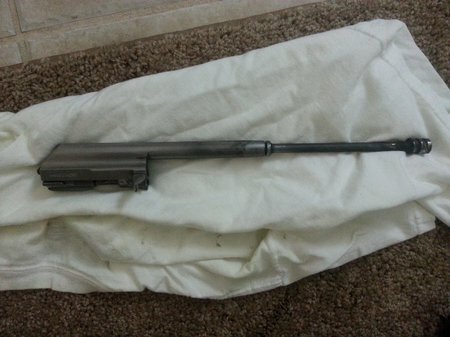 My Zastava NPAP was pretty clean too. 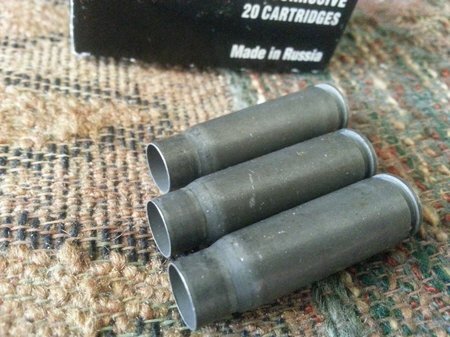 I shot 100 rounds of various Russian/Ukraine 7.62×39 ammo through it with 100% reliability and little fouling. The fouling on the gas piston was easy to wipe off. 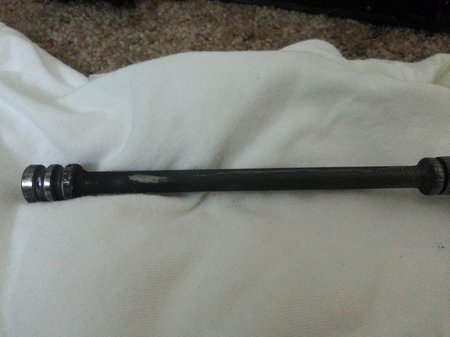 I cleaned the barrel with a boresnake and Froglube CLP. 15 minutes of cleaning and it’s good to go. 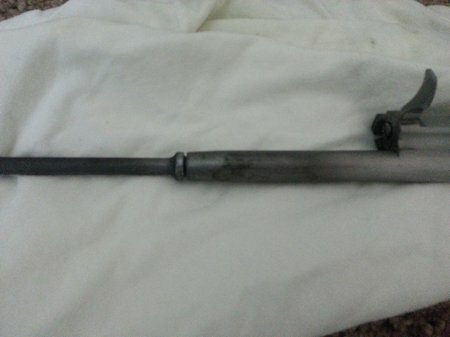 Here is the AK-47 gas piston and bolt carrier after shooting 100 rounds of Russian 7.62×39 ammo. All of the carbon fouling wiped right off with a cloth and CLP. No scrubbing with a wire brush.